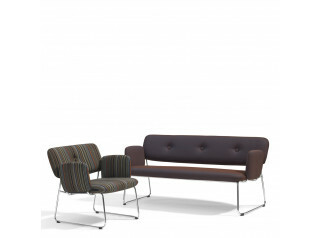 Dundra Sofa Bench S74 forms part of a thriving family of soft seating that caters for a wide range of interiors. 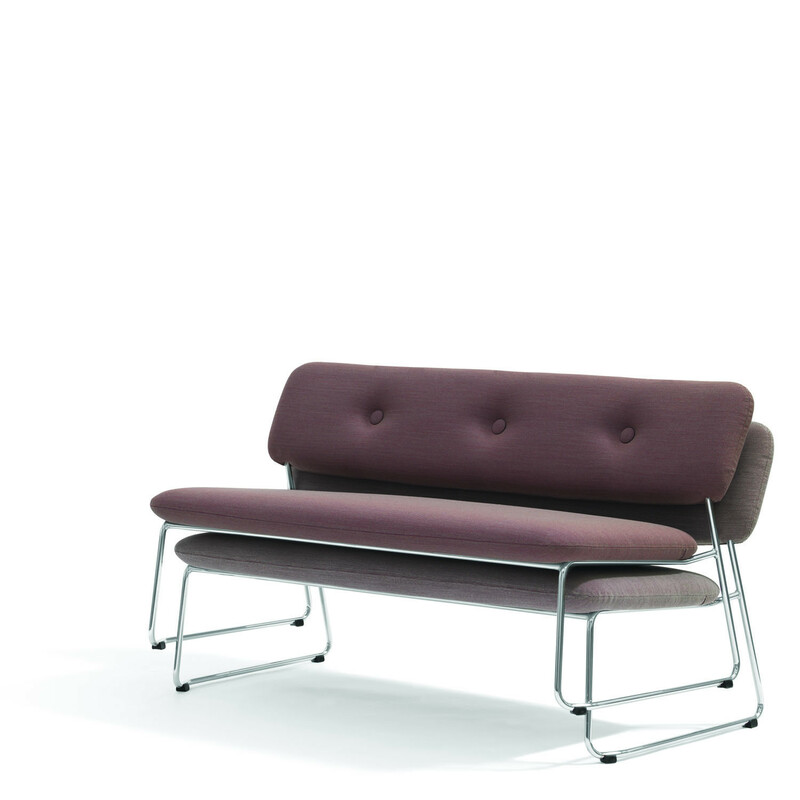 The Dundra family started with a sofa called Dunder in 2010. 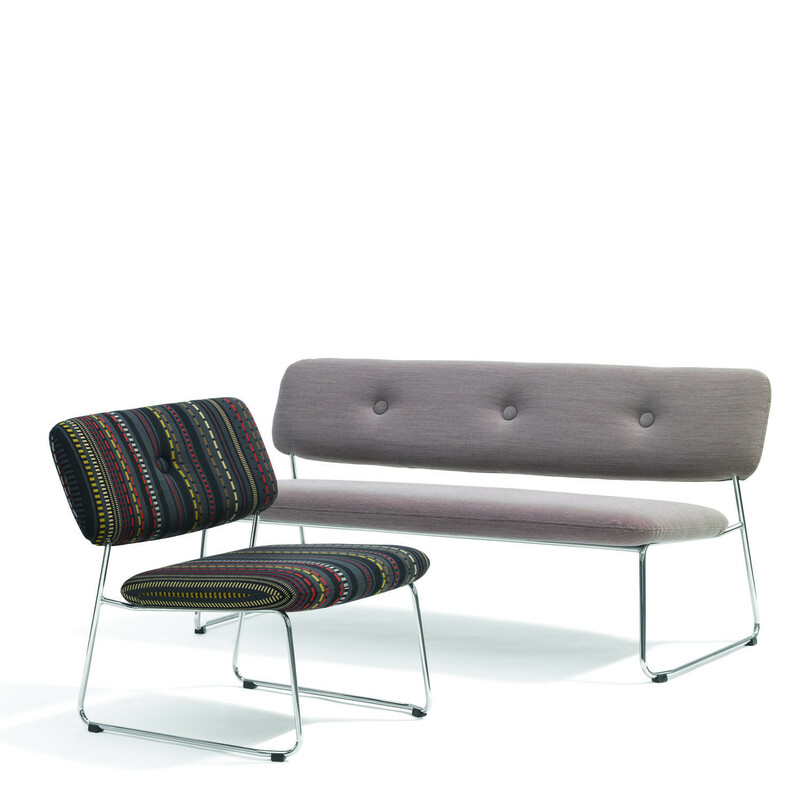 A soft shape built up of cushions, covered buttons, extendable sections – it was friendly and inviting. 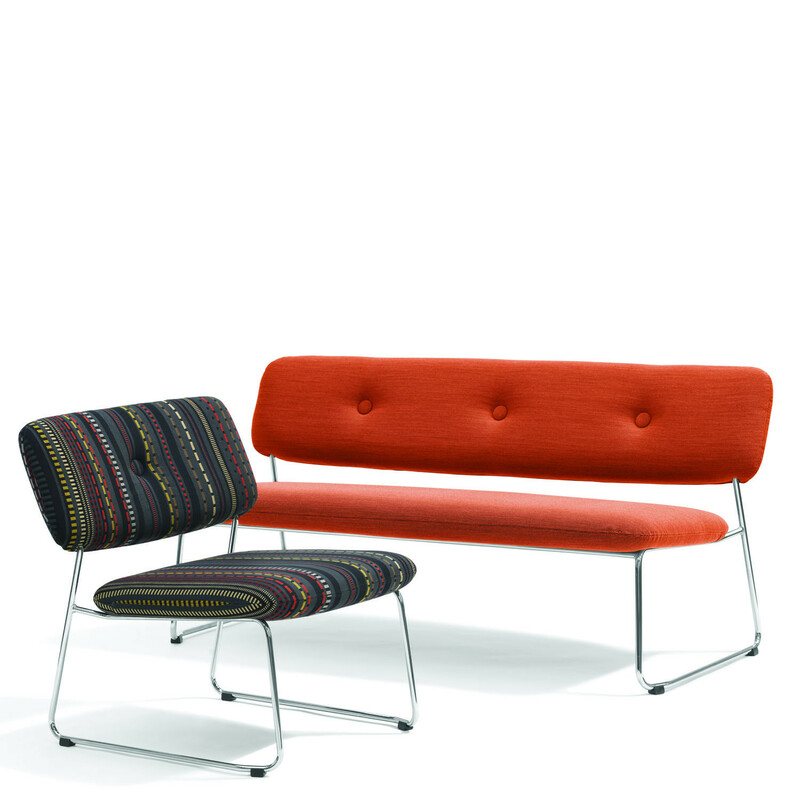 Then Dundra chair was launched, bar stool and bar chair in 2011, now Dundra sofa bench, an armchair and a stackable stool. 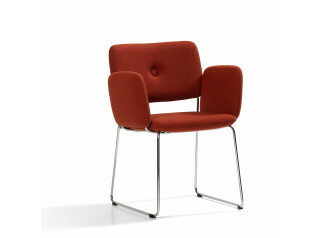 The series has the option of adding upholstered armrests that can be fitted to the sofa, easy chair, chair and bar chairs. 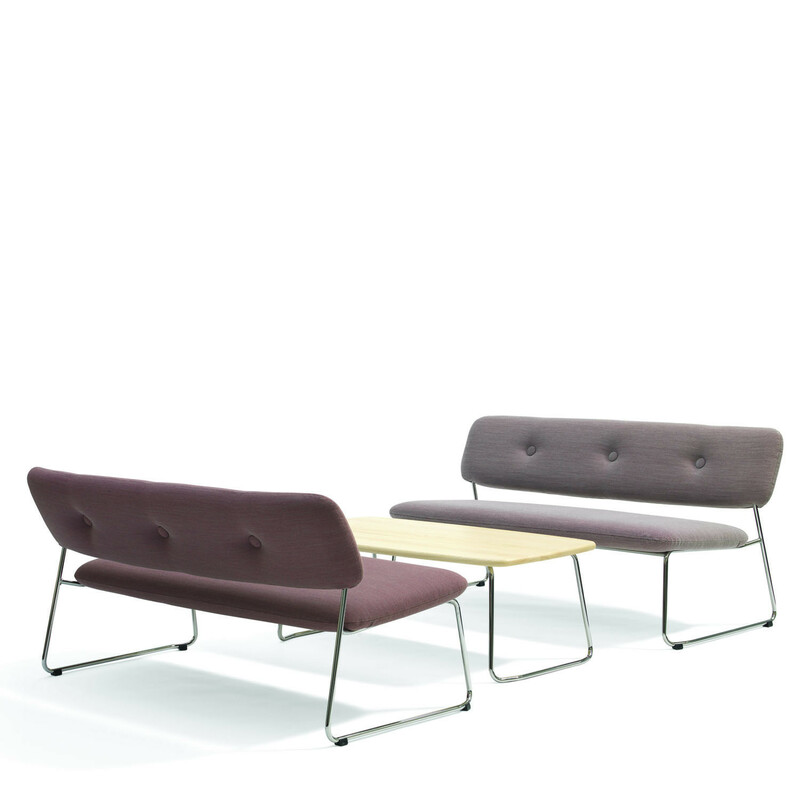 Dundra Sofa Bench is a stackable sofa. 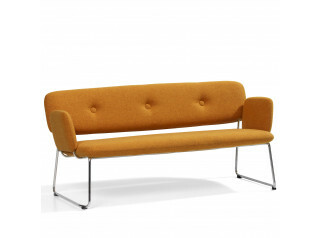 The sofa with upholstered armrests is not stackable. Frame of wood and steel. Padding of moulded CMHR polyurethane foam covered in fabric or leather. Steel frame in “green” chrome, Chrome III. Plastic feet. Frame of chromed steel. Seat and back of moulded polyurethane foam. Fabric or leather covers. Plastic feet. Green chrome (chrome III). Other finishes may be offered for contract work and projects. Also available in a version with CMHR foam. You are requesting a price for the "Dundra Sofa Bench S74"
To create a new project and add "Dundra Sofa Bench S74" to it please click the button below. 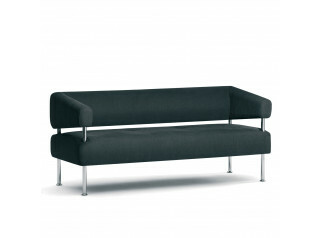 To add "Dundra Sofa Bench S74" to an existing project please select below.